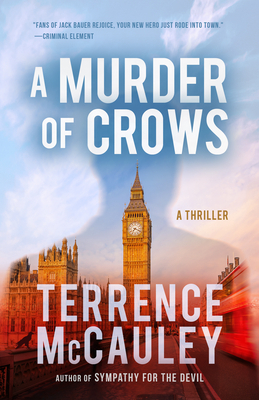 Terrence McCauley is an award-winning writer of crime fiction. His first techno-thriller, SYMPATHY FOR THE DEVIL, was published by Polis Books in July 2015. Polis also reissued Terrence's first two novels set in 1930 New York City - PROHIBITION and SLOW BURN. In 2016, Down and Out Books also published Terrence's World War I novella - THE DEVIL DOGS OF BELLEAU WOOD. Proceeds from sales go directly to benefit the Semper Fi Fund. Terrence has had short stories featured in Thuglit, Spintetingler Magazine, Shotgun Honey, Big Pulp and other publications. He is a member of the New York City chapter of the Mystery Writers of America, the International Thriller Writers and the International Crime Writers Association. A proud native of The Bronx, NY, he is currently writing his next work of fiction. Please visit his website at terrencemccauley.com.